After RON92 petrol was replaced by E5 bio-fuel for about three months, several enterprises said that the consumption of E5 was lower than that of RON92 and petitioned the authorities to resume the use of RON92. However, experts and businesses have asserted that the use RON92 petrol should not be resumed. Recently, Ho Chi Minh City One Member Limited Liability Oil and Gas Company (Saigon Petro) sent an official document to the Ministry of Industry and Trade and Ministry of Finance, saying that the consumption of E5 bio-fuel in the first two months of 2018 accounted for a very low proportion of the total petrol consumption of Saigon Petro, at over 30 percent of total petrol consumption, while the consumption of RON92 made up 65 pct of the total consumption. In addition, the company said that many vehicles that require the petrol standards of E5 or RON92 have to switch to using RON95, with a higher price, which is a waste. 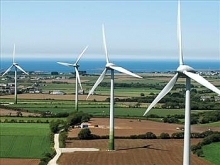 The company also recommended the reduction of the environmental protection tax on E5, as a basis for enterprises to lower E5 selling prices, thus stimulating the consumption of the product and avoiding the waste of social resources. According to Saigon Petro, the consumption of E5 will remain low in the future despite the application of the aforementioned measures. Thus, the firm suggested the resumption of the use of RON92. 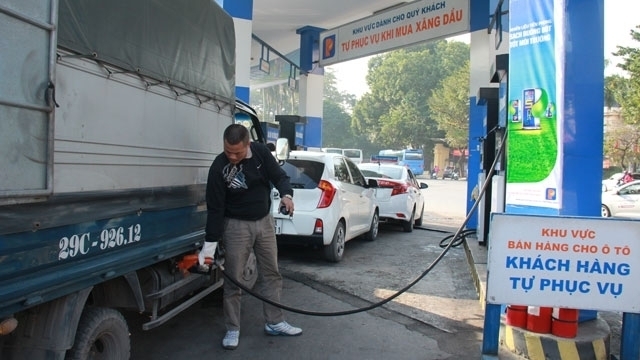 Economist Nguyen Tien Thoa, vice chairman and general secretary of the Vietnam Valuation Association, said that the government's policy on the use of types of petrol with less impact on the environment is the correct direction towards contributing to protecting the environment. Therefore, RON92 petrol should not be put into use again. Agreeing with Thoa, Nguyen Hong Minh, General Secretary of the Hanoi Transport Association and General Director of Nguyen Minh Taxi Company, said that Vietnam has deeply integrated into the world and must comply with international regulations. The general trend in the world is to use environmentally friendly fuels. Thus, RON92 should not be used anymore as it contains a large percentage of lead, creating negative effects on the environment. Experts said that more comprehensive measures are needed to boost the consumption of E5 bio-fuel. Thoa noted that tax reduction is one of the solutions to create a price gap between the two types of petrol, thereby motivating consumers to use E5. However, stimulating the use of E5 should not be based on tax reductions but must come from the supply of ethanol as the raw material for bio-fuel blending as there is only one ethanol producer supplying the raw material for the domestic market. In addition, the government should develop appropriate policies to create the price gap between E5 and RON92 in the first phase of the E5 launch to promote the consumption of E5, Thoa suggested. In particular, it must be proven in practice that the use of E5 is safe with engines and reduces greenhouse gas as a large number of consumers remain confused about the quality and safety of E5. Minh said that the top priority should be given to ensuring the quality of E5 if the authorities wish consumers to choose E5. "If E5 bio-fuel has good quality while protecting the environment, consumers will not refuse to use E5. Otherwise, if the quality is not guaranteed, lowered prices will not stimulate consumers to use the product,” Minh said. At the regular Government meeting in February 2018, Deputy Minister of Industry and Trade Do Thang Hai said that E5 bio-fuel, which replaced RON92 petrol, has been sold nationwide from January 1 this year according to the roadmap approved by the Prime Minister. According to reports by petrol wholesalers and Departments of Industry and Trade across the country, the amount of E5 consumption has increased quickly. The Hanoi Department of Industry and Trade reported that the total petrol consumption in Hanoi was about 110,000 m3 by the end of January 2018, including 53 pct of E5 and 47 pctof RON95 petrol. According to reports of petrol wholesalers and distributers in the city, after a month of switching from RON92 to E5 bio-fuel, consumers have gradually accepted the use of E5 and made a good evaluation of the product. Regarding businesses who want to stop selling E5, Deputy Minister Do Thang Hai affirmed that the right to do business is the right of the enterprises themselves. Meanwhile, the Ministry of Industry and Trade will coordinate with the Departments of Industry and Trade across the country to solve any difficulties for enterprises and facilitate them in the trading of petrol, Hai noted.